I am new to waffles. I do not order them in restaurants because they are always cold about seven seconds after they get to the table. Total pet peeve. 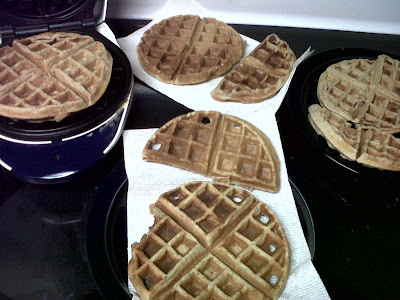 But a waffle iron came to me on Christmas morning and I have been playing around with it every since. Not all recipes will be good. Nor all mixes. And like everything gluten free, this requires a good bit of experimentation. Oh and finally, if you are going to take the time to make waffles, double the batch and free the extras. It's not that making waffles is difficult. It's actually super simple. But unless you have a row of waffle irons, it takes a while. So just like my adventures with cooking rice and chicken, when I make waffles, I make extra to freeze. They make a great lazy day dinner (or breakfast but you should know me well enough by now to know that I pretty much only eat breakfast foods for dinner...without any rhyme or reason....just because that's how I roll). I toss them in a low oven, still frozen, right on the metal racks. If you have a toaster oven, that would probably be better. But I don't. This recipe is completely gluten free but I promise no one will know it. They are sooo light and fluffy and have just a hint of sweetness. 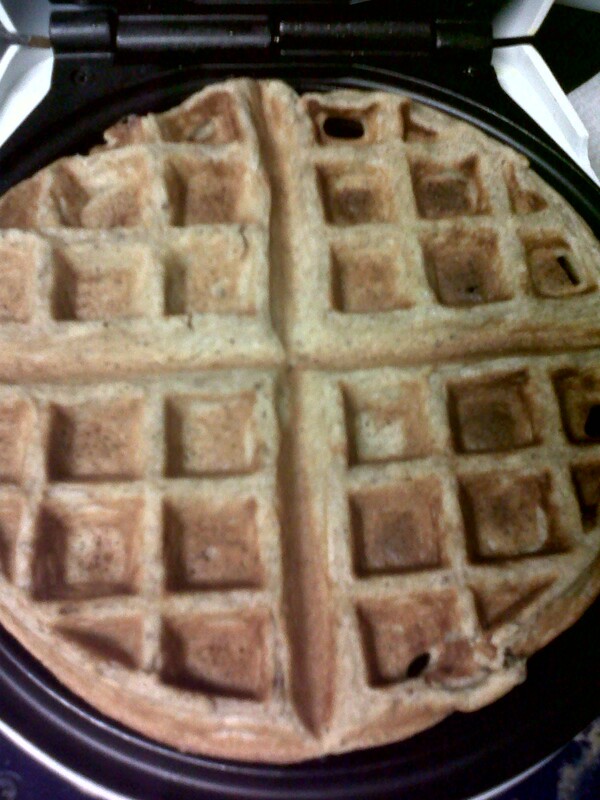 I'd say they are healthy but...well...it's a waffle. I mean, they're not horrible. As far as treats go. And they have more fiber than most things of this nature. But you know...it's a waffle. Don't eat them every day and you will be fine. * Separate eggs. Whisk egg whites until they are stiff enough to hold a peak. Set aside. * Combine wet ingredients. Add in dry ingredients. Whisk to ensure no lumps. * Fold in 1/3 of the egg whites. Then fold in the remaining egg whites. Be gentle and fold only until all ingredients are incorporated. * Cook in waffle iron according to your iron's directions. Extra waffles cooling before getting frozen for later enjoyment. Gotta love gluten free adventures! I think it is amazing some of the pre-packaged stuff that is gluten free even though it tastes horrible horrible horrible. It really blows my mind! But this recipe looks good. I will try it soon. Loooooove waffles. My guilty pleasure for sure! I know homemade has to better, but if you ever want a mix (not GF though, sorry) - we like Krusteaz Belgian waffle mix the best.